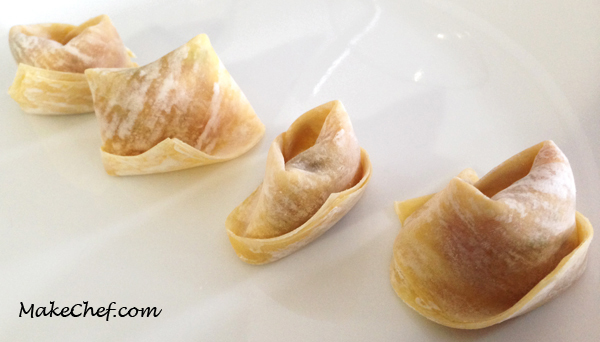 This is a very simple dish and the dumplings can be made in advance and frozen for later use. It can also be deep fried and enjoyed as appetizers. As always feel free to add your favorite ingredients to the noodle soup (shrimps, vegetables, chillies…). 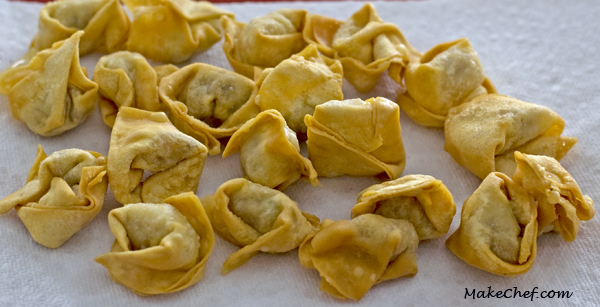 Those dumplings can also be fried and eaten as appetizers. Put a small amount of the filling on the wrap. With your finger dab some water on the edge of the wrap. Pinch the two corners of the triangle together. In a food processor combine the pork, mushrooms, green onions and dry shrimps. Season with salt and pepper. 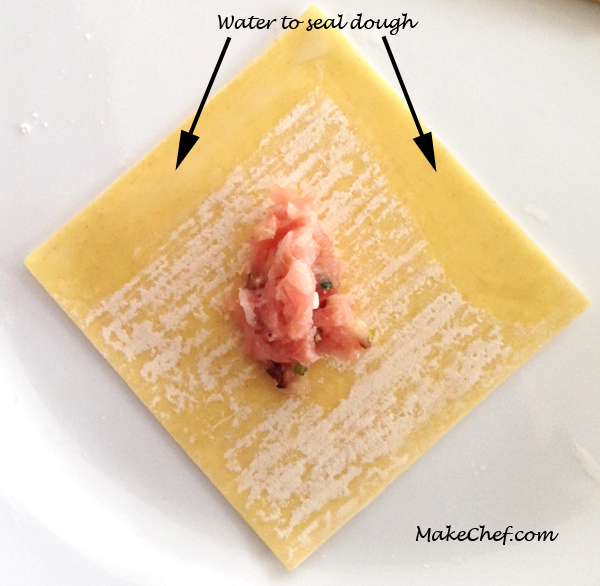 Add a small amount of the filling in the middle of the wonton wrap. 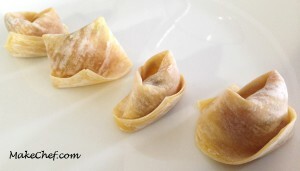 Fold the dumplings as indicated in the pictures. Cook the noodle as directed on the package. 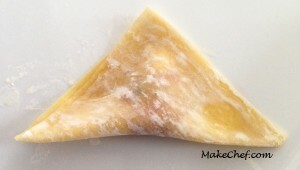 For additional flavour, use chicken stock instead of water to prepare the noodle. 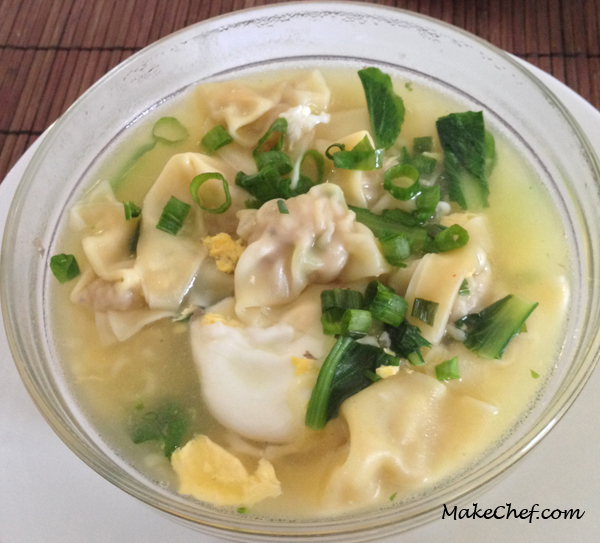 Add the dumplings and eggs (do not beat the eggs) to the noodle and cook for about 3-4 minutes. 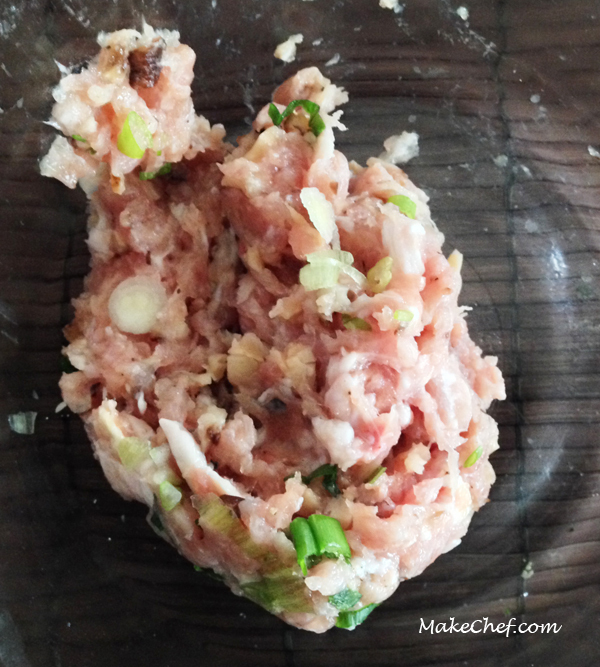 This entry was posted in Noodle, Pork, Recipe, Rice, Pasta and Noodle and tagged dumplings, noodle, pork, wonton-wrap.